The 250GB storage is mostly used in personal computers and servers. The drive has ample space to store routine data, which is why it is popular with most computer users. It is often used as a backup drive as well, particularly for workstations and data centers. The 250GB Hard Drive is easy to obtain and easy to change. 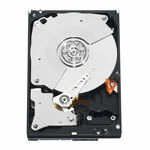 If the 250GB Internal HDD installed in your system gets damaged, you can easily replace it with a new one. The drive supports ATA-100, Fibre Channel, SATA and SAS interfaces and is available from top brands including HP, IBM, DELL, EMC and Fujitsu. The drive is available in 3.5inch, 2.5inch and 1.8inch form factors. It has a maximum cache size of 64MB and is suitable for enterprise and small business needs. Buy now from Memory4less.com. Use the filters on the left side of the screen for ease of selection. 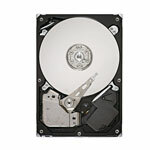 Choose a 250GB SATA hard drive that suits your requirements and order it online.